Mrs McCaffrey was Jane Leaver’s aunt’s governess during the War. 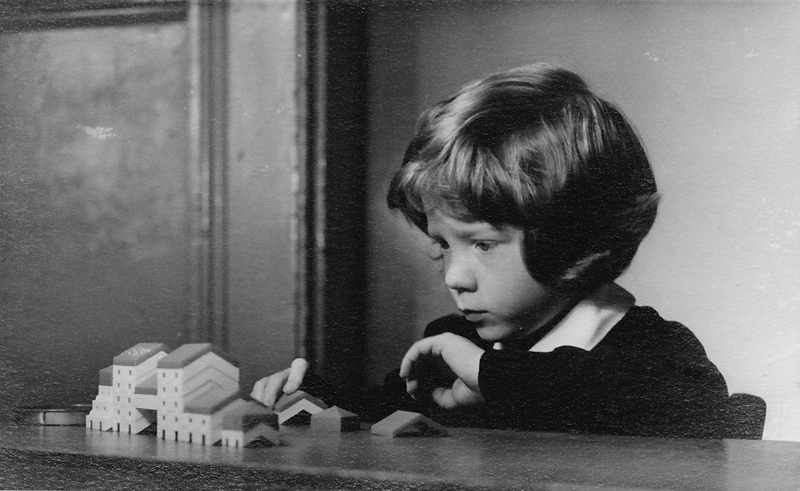 She opened a school at 2 Langford Place where Jane went in the early 1950s and which was still open in the 1960s. I went to the school for a year in 1955 to 1956. I was only four to five years old at the time so I have limited memories. I remember they always served fish or macaroni and cheese on Fridays. Mrs. McCaffrey and I got along very well. She sent Christmas cards for many years afterwards. I remember one teacher who scared me a bit as she reminded me of the wicked witch of the West from the Wizard of Oz. (Entirely a bad rap I am sure.) My father used to take me there on a double decker bus on his way to work. I finally realized Chuck (Arthur’s brother) was “sick” every Friday. Digging into the problem he said he hated the lunch on Friday and if he didn’t eat it he couldn’t lead the walk, or maybe not talk the walk , that was the exercise for the students. I don’t remember but I guess I must have gone to bring the boys back to Bryanston Square. You have told your friends about the basket on wheels I had made at the blind center. Women used them to walk to grocery stores. The baskets, like the kind you carried on your arm were attached to wheels and a cane. With 4 children and two au pair girls I had to shop for many groceries every day. I had them make me a basket as tall as the cane. Our picture was in a local paper. I was born in 1948, and started when I was two and a half and was there until I was 6 or 7, I think. 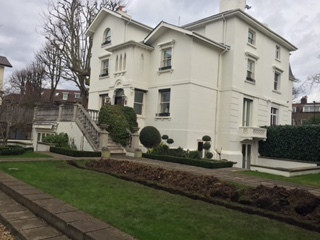 The house has since been altered : new owners have closed off the original front door, replacing it with a window, and have built a sort of front balcony entrance so as to give entrance to a lower ground floor flat. This page was added on 13/04/2016. i went to Mrs. Mcafrey’s school when I was 3 or 4. One memory does stick in my mind. There was a prize giving and every child in the class was given a prize – except me. I was so upset. I was left to the end. When the teachers realised that I had been left out their mistake was quickly rectified and I was given a book. I was more than thrilled, because whilst all the children had been given large coloured picture books, I was given Enid Brighton’ s The Treasure Hunters – a proper book with 300 pages and ‘no’ pictures! I felt I was grown up! Or maybe they thought I could read properly and would end up being a writer or something. I became a singer/songwriter! I went to Mrs Mc’s in 1955 aged 5. My main memory is a boy called Howard Taylor who was always being told to ‘go and fetch the slipper’ sorry Howard wherever you are!